13 Jun 2017 --- The global market for dairy alternative drinks is expected to reach US$16.3bn in 2018, up dramatically from US$7.4bn in 2010. Significant developments in this area include the acquisition of WhiteWave in 2016, presenting Danone with the opportunity to further developing its interests in this dynamic market in both North America and Europe. Innova Market Insights will present new data on food trends at the IFT Food Expo in Las Vegas, booth #2645. In another key region, Want Want, one of Greater China’s leading food processing companies, recently announced its expansion into soy and other plant-based beverages. China is enjoying particularly strong growth for dairy alternative drinks, with a CAGR of 18.7% forecast between 2010 and 2018, reaching a market value of US$6.7bn, compared with a more modest, if still impressive, CAGR of 10% in the US. 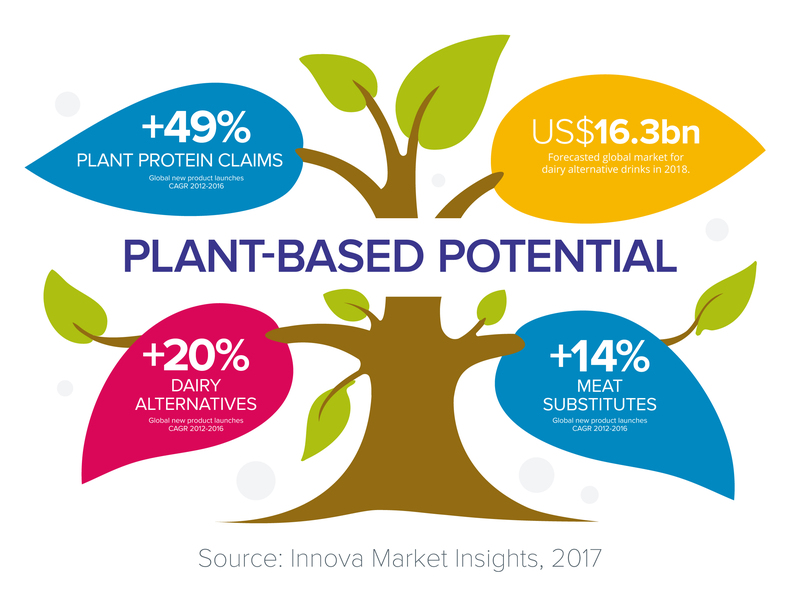 Dairy alternative drinks accounted for 7% of global dairy launches recorded by Innova Market Insights in 2016, up from 6% in 2015. Actual global launch numbers more than doubled over a five-year period. Just over half of these launches were positioned as lactose-free, nearly 40% as vegan and just under a quarter as GMO-free. Click to EnlargeA rising number of alternative nut ingredients are also starting to appear, with cashew and macadamia rapidly moving toward the mainstream and newer options such as flaxseed, hemp and even lupin seed coming to market. “There has been ongoing launch activity for a range of increasingly sophisticated flavors and blends of non-dairy milks from different sources. In line with the milks market as a whole, there has been a strong move into fashionable milk-based coffee drinks,” she adds. The US is notable as the first country to see almond milk rise to popularity, with sales up from virtually zero in the mid-2000s to over US$1bn through multiple retailers for chilled almond milks alone in 2016. Almond overtook soy as the leading non-dairy beverage variant some years ago and is continuing to see growth, albeit at a lower rate than in some previous years. By comparison, sales of chilled soy milk through multiple retailers have stalled, down over 10% in 2016 to about US$265m. Another key competitor in the market is Hain Celestial with its Dream beverages, yogurt and frozen dessert options. 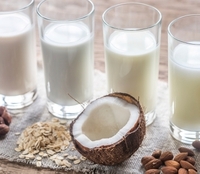 Its dairy-free beverages include Rice, Almond, Soy, Coconut and Cashew variants and in 2016 it also introduced its Dream Boosted range in Coconut and Almond options, designed to balance nutrition and taste and boosted with camu camu, flax and chia seed oils and pea protein and marketed as ideal as a smoothie base. Alongside the relatively well-developed beverages market, other dairy alternatives are appearing, often using existing dairy-free brands. WhiteWave’s Silk has a range of fruit-flavored yogurt alternatives based on soy, for example, as well as plain and vanilla variants, while its’ So Delicious has its coconut-milk-based yogurt alternatives and a range of frozen desserts and toppings. Innova Market Insights will be overviewing the opportunities in plant-based products, as well as looking briefly at other Top Trends for 2017 in a 20-minute preview webinar (June 15, 2017 – 4pm CEST/10am EDT) in the run-up to the IFT Food Expo. You can register here. Innova Market Insights will be presenting new data on all the key consumer trends driving the industry at booth #2645 at the IFT Food Expo in Las Vegas on 26-28 June 2017.